​Ander Herrera is set to join Paris Saint-Germain on a free transfer after his contract with Manchester United expires at the end of the season. Recent speculation suggested the Spain international was struggling to agree terms on an extension with the Red Devils, and that a departure from Old Trafford was looking ever more likely. Now, according to the ​Daily Record, Herrera has agreed a pre-contract with the Ligue 1 champions after seemingly being left unimpressed by United's offer a long-term deal. ​United manager Ole Gunnar Solskjaer has spoken glowingly of the Spaniard's influence on the team in recent weeks, and revealed his hope that he would be a part of his plans for next season. PSG's move for Herrera comes after reports had claimed the French side were prioritising new midfielders for Thomas Tuchel's second campaign in charge. United reportedly paying Sanchez 350k a week, Lukaku 200k a week, and Phil Jones 120k a week. While Ander Herrera gets 75k a week and Marcus Rashford 45k a week.....That's like rewarding the disease instead of the cure. Terrible business. PSG will lose Adrien Rabiot on a free transfer themselves after the 23-year-old made it clear that he would refuse to enter into negotiations over signing a new deal back in December. Having arrived in a €36m deal from La Liga side Athletic Bilbao in 2014, ​Herrera has made 187 appearances for United and scored 20 goals. In his five campaigns at the club, the midfielder played a key part in helping the Red Devils clinch an EFL Cup and Europa League double in the 2016/2017 season, and won the FA Cup in 2016. 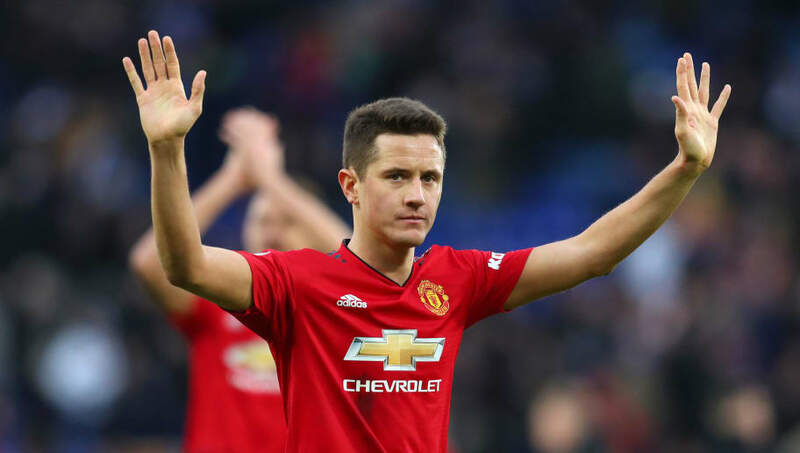 Despite his impending departure, Herrera will expect to feature when Solskjaer's men take on Wolves at Molineux on Tuesday looking to keep their top four hopes alive.